#AnushkaSharma thinks that #VarunDhawan is a wonderful actor and #October is going to be amazing. Actress Anushka Sharma took to her social media account and praised Varun Dhawan and assured him about his first outing with Shoojit Sircar, titled October, also starring Banita Sandhu. October opened in theatres today with critical acclaim and decent reviews. The team October also hosted a special screening of the film, last night at Yash Raj Studios. Actor and Producer Jackky Bhagnani and Huma Qureshi were among many other who saw the film and liked it; they even praised the film on social media. 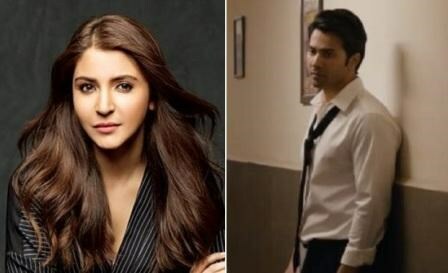 Anushka Sharma and Varun Dhawan are working together in Sui Dhaaga, under the banner of Yash Raj Films.